The Atlantica SunGarden Beach is set in a prime location on the outskirts of Ayia Napa with direct access to one of the most beautiful sandy beaches in Cyprus. 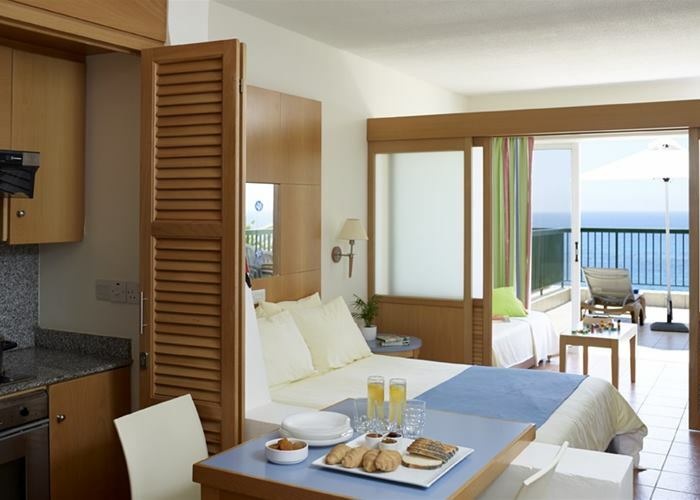 With a variety of facilities and spacious accommodation the Atlantica SunGarden Beach is a perfect place for a well-deserved holiday. Everything you would want from your own living space with a light and fresh feel about them. Double rooms are with balcony or terrace and have an inland view. Sleeping up to 2 people they come complete with mini fridge, TV and air conditioning. Everything you would want from your own living space with a light and fresh feel about them. 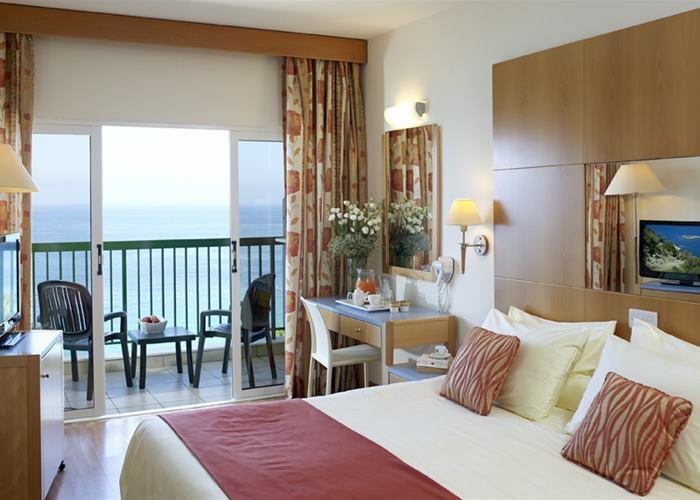 Double rooms are with balcony or terrace and have a furnished balcony complete with a side sea view. Sleeping up to 2 people they come complete with mini fridge, TV and air conditioning. Family Rooms combine practical family space along with relaxing comfort for both adults and children. They sleep up to 4 people made up of one double or twin beds and two sofa beds in an area partially separated with sliding doors. 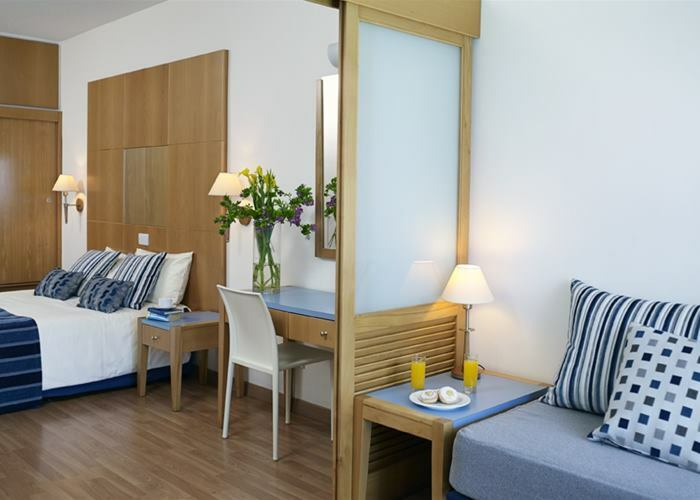 The room is equipped with a kitchenette, mini fridge, TV and air conditioning. Family rooms combine practical family space along with relaxing comfort for both adults and children. They sleep up to 4 people made up of one double or twin beds and two sofa beds in an area partially separated with sliding doors. The room is equipped with a mini fridge, TV and air conditioning. 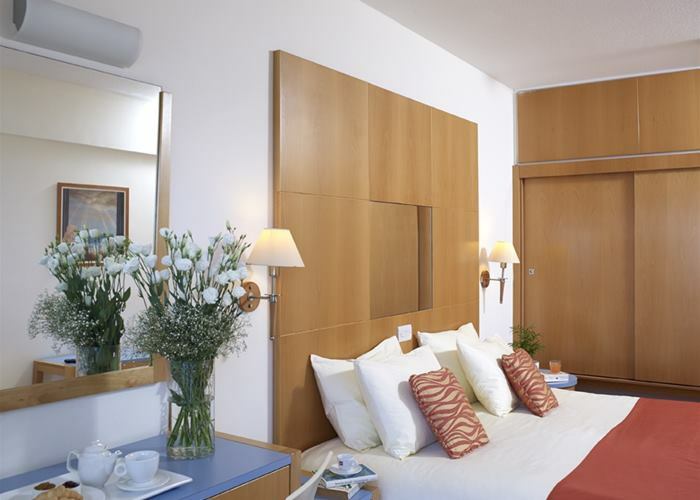 Family suites are perfect for practical space and privacy with two separate rooms with a connecting door. 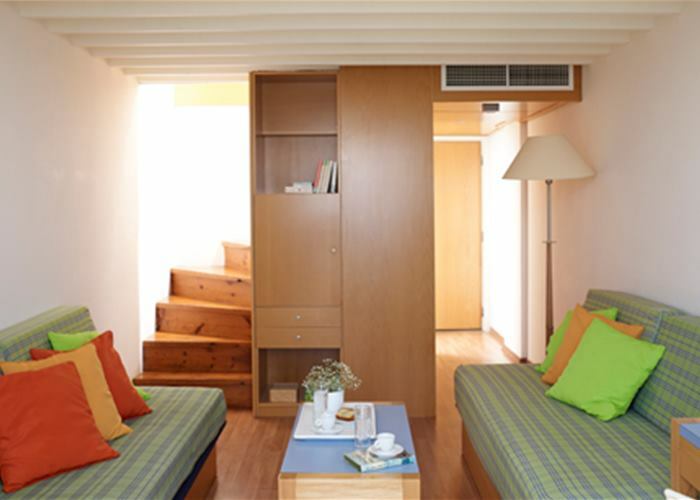 There's a double or twin beds as well as two singles sofa beds and have a balcony. Rooms sleep up to 4 people and come complete with mini fridge, TV and air conditioning. Located in the main building these rooms are perfect for practical space and privacy with two sleeping areas, one with double bed and one with two sofa beds. Rooms are in split-level with a big balcony. 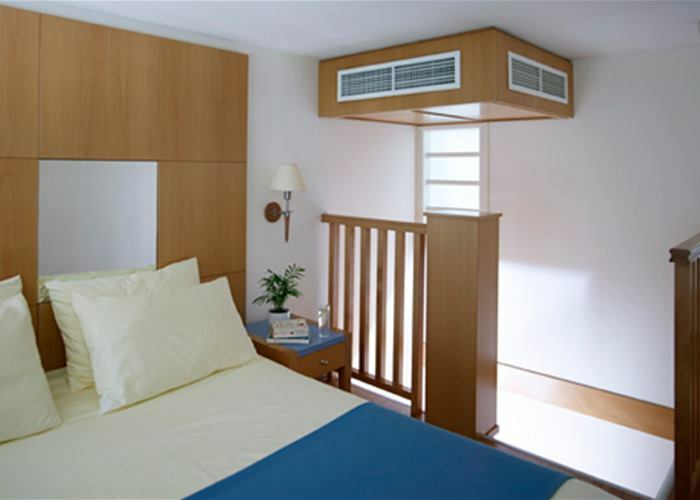 Rooms sleep up to 4 people and come complete with mini fridge, TV and air conditioning.